By purchasing MacGuffin’s Curse through us, you’re helping a tiny development team recoup a massive investment and risk. You have our sincerest gratitude. The direct download of a DRM free version for PC and/or Mac. The warm, fuzzy feeling of supporting the developer. Already own a copy? You can also gift the game to family or friends! 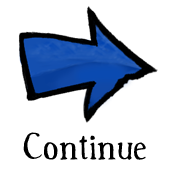 Continue. You can also download MacGuffin’s Curse through Steam (PC & Mac), iOS App Store (iPad, iPhone) and the Mac App Store. "MacGuffin's Curse is a testament to the powerhouse that is Australian indie development. A near perfect experience that demands your attention"